2017 Acura ILX 4D Sedan FWD Modern Steel Metallic 8-Speed Dual-Clutch Acura CERTIFIED*7 YEAR/100K WARRANTY! !, CARFAX ONE-OWNER!, Heated Seats, Sunroof, Leather Seats, Bluetooth, Back up camera, Local Trade. Odometer is 8574 miles below market average! 25/35 City/Highway MPG 2.4L 4-Cylinder DOHC Acura Certified Pre-Owned Details: * Roadside Assistance * Transferable Warranty * Warranty Deductible: $0 * 182 Point Inspection * Powertrain Limited Warranty: 84 Month/100,000 Mile (whichever comes first) from original in-service date * Limited Warranty: 12 Month/12,000 Mile (whichever comes first) after new car warranty expires or from certified purchase date * Includes Trip Interruption and Concierge Services * Vehicle History Please text, call or email our Internet Product Specialist: Jason Sherrill jasonsherrill@mungenast.com 314-856-5535. BELOW market value!! $360 in service coupons on ALL Pre-Owned vehicles!! 27-time Precision Award winning Acura Dealership - MOST in the Country!!! Ask about the Mungenast Difference... 2016 Acura ILX 4D Sedan 2.4L FWD Bellanova White Pearl 8-Speed Dual-Clutch Acura CERTIFIED*7 YEAR/100K WARRANTY! !, CLEAN CARFAX ONE-OWNER!, Exclusively Serviced at Mungenast Acura, Factory Recommended Service Performed, Heated Seats, Sunroof, Bluetooth, Back up camera. Odometer is 16243 miles below market average! 25/36 City/Highway MPG 2.4L I4 DOHC i-VTEC 16V Acura Certified Pre-Owned Details: * Roadside Assistance * Includes Trip Interruption and Concierge Services * Vehicle History * 182 Point Inspection * Limited Warranty: 12 Month/12,000 Mile (whichever comes first) after new car warranty expires or from certified purchase date * Powertrain Limited Warranty: 84 Month/100,000 Mile (whichever comes first) from original in-service date * Warranty Deductible: $0 * Transferable Warranty Please text, call or email our Internet Product Specialist: Jason Sherrill jasonsherrill@mungenast.com 314-856-5535. Experience the Mungenast Difference! All vehicles priced at or BELOW Market Value... 2016 Acura TLX 4D Sedan 2.4L FWD Bellanova White Pearl 8-Speed Dual-Clutch Acura CERTIFIED*7 YEAR/100K WARRANTY! !, CLEAN CARFAX ONE-OWNER!, Heated Seats, Sunroof, Bluetooth, Back up camera. Odometer is 8140 miles below market average! 24/35 City/Highway MPG 2.4L DOHC 16V Acura Certified Pre-Owned Details: * Roadside Assistance * Transferable Warranty * Warranty Deductible: $0 * 182 Point Inspection * Powertrain Limited Warranty: 84 Month/100,000 Mile (whichever comes first) from original in-service date * Includes Trip Interruption and Concierge Services * Vehicle History * Limited Warranty: 12 Month/12,000 Mile (whichever comes first) after new car warranty expires or from certified purchase date Please text, call or email our Internet Product Specialist: Jason Sherrill jasonsherrill@mungenast.com 314-856-5535. 2015 Acura TLX 4D Sedan 2.4L w/Technology Package FWD Black Copper Pearl 8-Speed Dual-Clutch Acura CERTIFIED*7 YEAR/100K WARRANTY! !, CLEAN CARFAX ONE-OWNER!, Acura Technology Package with Navigation system, Heated Seats, Sunroof, Leather Seats, Bluetooth, Back up camera, Local Trade, TLX 2.4L w/Technology Package. 24/35 City/Highway MPG 2.4L DOHC 16V Acura Certified Pre-Owned Details: * Transferable Warranty * Vehicle History * Includes Trip Interruption and Concierge Services * Limited Warranty: 12 Month/12,000 Mile (whichever comes first) after new car warranty expires or from certified purchase date * Warranty Deductible: $0 * Roadside Assistance * Powertrain Limited Warranty: 84 Month/100,000 Mile (whichever comes first) from original in-service date * 182 Point Inspection Please text, call or email our Internet Product Specialist: Jason Sherrill jasonsherrill@mungenast.com 314-856-5535. 2017 Acura ILX 4D Sedan Technology Package FWD Crystal Black Pearl 8-Speed Dual-Clutch Acura CERTIFIED*7 YEAR/100K WARRANTY! !, CLEAN CARFAX!, Acura Technology Package with Navigation system, Heated Seats, Sunroof, Leather Seats, Bluetooth, Back up camera, Local Trade, Navigation System. 25/35 City/Highway MPG 2.4L I4 DOHC i-VTEC 16V Acura Certified Pre-Owned Details: * 182 Point Inspection * Warranty Deductible: $0 * Powertrain Limited Warranty: 84 Month/100,000 Mile (whichever comes first) from original in-service date * Limited Warranty: 12 Month/12,000 Mile (whichever comes first) after new car warranty expires or from certified purchase date * Transferable Warranty * Roadside Assistance * Vehicle History * Includes Trip Interruption and Concierge Services Please text, call or email our Internet Product Specialist: Jason Sherrill jasonsherrill@mungenast.com 314-856-5535. BELOW market value!! $360 in service coupons on ALL Pre-Owned vehicles!! 27-time Precision Award winning Acura Dealership - MOST in the Country!!! 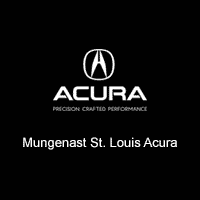 Ask about the Mungenast Difference... 2017 Acura ILX 4D Sedan Technology Plus and A-SPEC Packages FWD San Marino Red 8-Speed Dual-Clutch Acura CERTIFIED*7 YEAR/100K WARRANTY! !, CLEAN CARFAX ONE-OWNER!, Acura Technology Package with Navigation system, Heated Seats, Sunroof, Bluetooth, Back up camera. Odometer is 7027 miles below market average! 25/35 City/Highway MPG 2.4L I4 DOHC i-VTEC 16V Acura Certified Pre-Owned Details: * Powertrain Limited Warranty: 84 Month/100,000 Mile (whichever comes first) from original in-service date * Limited Warranty: 12 Month/12,000 Mile (whichever comes first) after new car warranty expires or from certified purchase date * Transferable Warranty * Includes Trip Interruption and Concierge Services * Vehicle History * Warranty Deductible: $0 * Roadside Assistance * 182 Point Inspection Please text, call or email our Internet Product Specialist: Jason Sherrill jasonsherrill@mungenast.com 314-856-5535. 2016 Acura TLX 4D Sedan 3.5L V6 w/Technology Package FWD Fathom Blue Pearl 9-Speed Automatic Acura CERTIFIED*7 YEAR/100K WARRANTY! !, CLEAN CARFAX ONE-OWNER!, Acura Technology Package with Navigation system, Heated Seats, Sunroof, Leather Seats, Bluetooth, Back up camera, Local Trade. 21/34 City/Highway MPG 3.5L V6 SOHC VTEC 24V Acura Certified Pre-Owned Details: * Limited Warranty: 12 Month/12,000 Mile (whichever comes first) after new car warranty expires or from certified purchase date * Powertrain Limited Warranty: 84 Month/100,000 Mile (whichever comes first) from original in-service date * Roadside Assistance * Warranty Deductible: $0 * Vehicle History * Transferable Warranty * Includes Trip Interruption and Concierge Services * 182 Point Inspection Please text, call or email our Internet Product Specialist: Jason Sherrill jasonsherrill@mungenast.com 314-856-5535. Experience the Mungenast Difference! All vehicles priced at or BELOW Market Value... 2016 Acura RDX 4D Sport Utility FWD Crystal Black Pearl 6-Speed Automatic Acura CERTIFIED*7 YEAR/100K WARRANTY! !, CLEAN CARFAX ONE-OWNER!, Heated Seats, Sunroof, Bluetooth, Local Trade, Memory seat. 20/29 City/Highway MPG 3.5L V6 SOHC i-VTEC 24V Acura Certified Pre-Owned Details: * Powertrain Limited Warranty: 84 Month/100,000 Mile (whichever comes first) from original in-service date * Vehicle History * 182 Point Inspection * Transferable Warranty * Warranty Deductible: $0 * Roadside Assistance * Includes Trip Interruption and Concierge Services * Limited Warranty: 12 Month/12,000 Mile (whichever comes first) after new car warranty expires or from certified purchase date Please text, call or email our Internet Product Specialist: Jason Sherrill jasonsherrill@mungenast.com 314-856-5535. 2016 Acura RDX 4D Sport Utility FWD Graphite Luster Metallic 6-Speed Automatic Acura CERTIFIED*7 YEAR/100K WARRANTY! !, CLEAN CARFAX ONE-OWNER!, Heated Seats, Sunroof, Bluetooth, Back up camera, Local Trade. Odometer is 6586 miles below market average! 20/29 City/Highway MPG 3.5L V6 SOHC i-VTEC 24V Acura Certified Pre-Owned Details: * Powertrain Limited Warranty: 84 Month/100,000 Mile (whichever comes first) from original in-service date * Limited Warranty: 12 Month/12,000 Mile (whichever comes first) after new car warranty expires or from certified purchase date * Includes Trip Interruption and Concierge Services * Transferable Warranty * 182 Point Inspection * Vehicle History * Roadside Assistance * Warranty Deductible: $0 Please text, call or email our Internet Product Specialist: Jason Sherrill jasonsherrill@mungenast.com 314-856-5535. Experience the Mungenast Difference! All vehicles priced at or BELOW Market Value... 2016 Acura RDX 4D Sport Utility w/Technology Package FWD Graphite Luster Metallic 6-Speed Automatic Acura CERTIFIED*7 YEAR/100K WARRANTY! !, CLEAN CARFAX ONE-OWNER!, Acura Technology Package with Navigation system, Navigation, Heated Seats, Sunroof, Leather Seats, Bluetooth, Back up camera, Local Trade. 20/29 City/Highway MPG 3.5L V6 SOHC i-VTEC 24V Acura Certified Pre-Owned Details: * Roadside Assistance * Warranty Deductible: $0 * Transferable Warranty * Includes Trip Interruption and Concierge Services * Vehicle History * Limited Warranty: 12 Month/12,000 Mile (whichever comes first) after new car warranty expires or from certified purchase date * 182 Point Inspection * Powertrain Limited Warranty: 84 Month/100,000 Mile (whichever comes first) from original in-service date Please text, call or email our Internet Product Specialist: Jason Sherrill jasonsherrill@mungenast.com 314-856-5535. Experience the Mungenast Difference! All vehicles priced at or BELOW Market Value... 2017 Acura RDX 4D Sport Utility FWD White Diamond Pearl 6-Speed Automatic Acura CERTIFIED*7 YEAR/100K WARRANTY! !, CLEAN CARFAX ONE-OWNER!, Exclusively Serviced at Mungenast Acura, Factory Recommended Service Performed, Heated Seats, Sunroof, Bluetooth, Back up camera, ABS brakes, Compass, Electronic Stability Control, Front dual zone A/C, Heated door mirrors, Heated front seats, Heated Front Sport Bucket Seats, Illuminated entry, Low tire pressure warning, Power Liftgate, Power moonroof, Remote keyless entry, Traction control. 20/28 City/Highway MPG 3.5L V6 SOHC i-VTEC 24V Acura Certified Pre-Owned Details: * Limited Warranty: 12 Month/12,000 Mile (whichever comes first) after new car warranty expires or from certified purchase date * Roadside Assistance * 182 Point Inspection * Transferable Warranty * Powertrain Limited Warranty: 84 Month/100,000 Mile (whichever comes first) from original in-service date * Warranty Deductible: $0 * Includes Trip Interruption and Concierge Services * Vehicle History Please text, call or email our Internet Product Specialist: Jason Sherrill jasonsherrill@mungenast.com 314-856-5535. Experience the Mungenast Difference! All vehicles priced at or BELOW Market Value... 2016 Acura RDX 4D Sport Utility AWD w/Technology Package AWD White Diamond Pearl 6-Speed Automatic Acura CERTIFIED*7 YEAR/100K WARRANTY! !, CARFAX ONE-OWNER!, Acura Technology Package with Navigation system, Navigation, Heated Seats, Sunroof, Leather Seats, Bluetooth, Back up camera. 19/28 City/Highway MPG 3.5L V6 SOHC i-VTEC 24V Acura Certified Pre-Owned Details: * Warranty Deductible: $0 * Transferable Warranty * 182 Point Inspection * Powertrain Limited Warranty: 84 Month/100,000 Mile (whichever comes first) from original in-service date * Limited Warranty: 12 Month/12,000 Mile (whichever comes first) after new car warranty expires or from certified purchase date * Includes Trip Interruption and Concierge Services * Roadside Assistance * Vehicle History Please text, call or email our Internet Product Specialist: Jason Sherrill jasonsherrill@mungenast.com 314-856-5535. BELOW market value!! $360 in service coupons on ALL Pre-Owned vehicles!! 27-time Precision Award winning Acura Dealership - MOST in the Country!!! Ask about the Mungenast Difference... 2016 Acura RDX 4D Sport Utility FWD White Diamond Pearl 6-Speed Automatic Acura CERTIFIED*7 YEAR/100K WARRANTY! !, CLEAN CARFAX ONE-OWNER!, Exclusively Serviced at Mungenast Acura, Factory Recommended Service Performed, Heated Seats, Sunroof, Leather Seats, Bluetooth, Back up camera. Odometer is 20598 miles below market average! 20/29 City/Highway MPG 3.5L V6 SOHC i-VTEC 24V Acura Certified Pre-Owned Details: * Vehicle History * Includes Trip Interruption and Concierge Services * 182 Point Inspection * Powertrain Limited Warranty: 84 Month/100,000 Mile (whichever comes first) from original in-service date * Transferable Warranty * Warranty Deductible: $0 * Limited Warranty: 12 Month/12,000 Mile (whichever comes first) after new car warranty expires or from certified purchase date * Roadside Assistance Please text, call or email our Internet Product Specialist: Jason Sherrill jasonsherrill@mungenast.com 314-856-5535. 2016 Acura RDX 4D Sport Utility AWD w/Technology Package AWD Graphite Luster Metallic 6-Speed Automatic Acura CERTIFIED*7 YEAR/100K WARRANTY! !, CLEAN CARFAX ONE-OWNER!, Acura Technology Package with Navigation system, Heated Seats, Sunroof, Leather Seats, Bluetooth, Back up camera, Local Trade. 19/28 City/Highway MPG 3.5L V6 SOHC i-VTEC 24V Acura Certified Pre-Owned Details: * Roadside Assistance * Includes Trip Interruption and Concierge Services * Transferable Warranty * 182 Point Inspection * Vehicle History * Warranty Deductible: $0 * Powertrain Limited Warranty: 84 Month/100,000 Mile (whichever comes first) from original in-service date * Limited Warranty: 12 Month/12,000 Mile (whichever comes first) after new car warranty expires or from certified purchase date Please text, call or email our Internet Product Specialist: Jason Sherrill jasonsherrill@mungenast.com 314-856-5535. 2018 Acura TLX 4D Sedan 2.4L w/Technology Package FWD Modern Steel Metallic 8-Speed Dual-Clutch Acura CERTIFIED*7 YEAR/100K WARRANTY! !, CLEAN CARFAX ONE-OWNER!, Acura Technology Package with Navigation system, Sunroof, Leather Seats, Bluetooth, Back up camera, Local Trade, Apple CarPlayTM and AndroidTM Auto. 23/33 City/Highway MPG 2.4L DOHC 16V Please text, call or email our Internet Product Specialist: Jason Sherrill jasonsherrill@mungenast.com 314-856-5535. 2016 Acura MDX 4D Sport Utility 3.5L SH-AWD w/Technology Pkg AWD Lunar Silver Metallic 9-Speed Automatic Acura CERTIFIED*7 YEAR/100K WARRANTY! !, CLEAN CARFAX ONE-OWNER!, Acura Technology Package with Navigation system, Heated Seats, Sunroof, Leather Seats, Bluetooth, Back up camera, Local Trade. 18/26 City/Highway MPG 3.5L V6 SOHC i-VTEC 24V Acura Certified Pre-Owned Details: * Transferable Warranty * Warranty Deductible: $0 * Limited Warranty: 12 Month/12,000 Mile (whichever comes first) after new car warranty expires or from certified purchase date * Powertrain Limited Warranty: 84 Month/100,000 Mile (whichever comes first) from original in-service date * Vehicle History * 182 Point Inspection * Includes Trip Interruption and Concierge Services * Roadside Assistance Please text, call or email our Internet Product Specialist: Jason Sherrill jasonsherrill@mungenast.com 314-856-5535. 2018 Acura TLX 4D Sedan 2.4L w/Technology Package FWD Crystal Black Pearl 8-Speed Dual-Clutch Acura CERTIFIED*7 YEAR/100K WARRANTY! !, CLEAN CARFAX ONE-OWNER!, Acura Technology Package with Navigation system, Heated Seats, Sunroof, Leather Seats, Bluetooth, Back up camera, Local Trade, Apple CarPlayTM and AndroidTM Auto. 23/33 City/Highway MPG 2.4L DOHC 16V Acura Certified Pre-Owned Details: * Limited Warranty: 12 Month/12,000 Mile (whichever comes first) after new car warranty expires or from certified purchase date * Transferable Warranty * Powertrain Limited Warranty: 84 Month/100,000 Mile (whichever comes first) from original in-service date * Vehicle History * Includes Trip Interruption and Concierge Services * 182 Point Inspection * Roadside Assistance * Warranty Deductible: $0 Please text, call or email our Internet Product Specialist: Jason Sherrill jasonsherrill@mungenast.com 314-856-5535. BELOW market value!! $360 in service coupons on ALL Pre-Owned vehicles!! 27-time Precision Award winning Acura Dealership - MOST in the Country!!! Ask about the Mungenast Difference... 2016 Acura MDX 4D Sport Utility 3.5L SH-AWD w/Technology Pkg AWD Crystal Black Pearl 9-Speed Automatic Acura CERTIFIED*7 YEAR/100K WARRANTY! !, CLEAN CARFAX ONE-OWNER!, Factory Recommended Service Performed, Acura Technology Package with Navigation system, Heated Seats, Sunroof, Leather Seats, Bluetooth, Back up camera. 18/26 City/Highway MPG 3.5L V6 SOHC i-VTEC 24V Acura Certified Pre-Owned Details: * Powertrain Limited Warranty: 84 Month/100,000 Mile (whichever comes first) from original in-service date * 182 Point Inspection * Warranty Deductible: $0 * Transferable Warranty * Includes Trip Interruption and Concierge Services * Limited Warranty: 12 Month/12,000 Mile (whichever comes first) after new car warranty expires or from certified purchase date * Vehicle History * Roadside Assistance Please text, call or email our Internet Product Specialist: Jason Sherrill jasonsherrill@mungenast.com 314-856-5535. 2016 Acura MDX 4D Sport Utility 3.5L SH-AWD w/Technology Pkg AWD Crystal Black Pearl 9-Speed Automatic Acura CERTIFIED*7 YEAR/100K WARRANTY! !, Acura Technology Package with Navigation system, Heated Seats, Sunroof, Leather Seats, Bluetooth, Back up camera, Local Trade. 18/26 City/Highway MPG 3.5L V6 SOHC i-VTEC 24V Acura Certified Pre-Owned Details: * Includes Trip Interruption and Concierge Services * Warranty Deductible: $0 * Roadside Assistance * Powertrain Limited Warranty: 84 Month/100,000 Mile (whichever comes first) from original in-service date * Vehicle History * Transferable Warranty * 182 Point Inspection * Limited Warranty: 12 Month/12,000 Mile (whichever comes first) after new car warranty expires or from certified purchase date Please text, call or email our Internet Product Specialist: Jason Sherrill jasonsherrill@mungenast.com 314-856-5535. 2017 Acura RDX 4D Sport Utility SH-AWD AWD White Diamond Pearl 6-Speed Automatic Acura CERTIFIED*7 YEAR/100K WARRANTY! !, CARFAX ONE-OWNER!, Heated Seats, Sunroof, Bluetooth, Back up camera, Local Trade. 19/27 City/Highway MPG 3.5L V6 SOHC i-VTEC 24V Acura Certified Pre-Owned Details: * Warranty Deductible: $0 * Includes Trip Interruption and Concierge Services * Transferable Warranty * 182 Point Inspection * Limited Warranty: 12 Month/12,000 Mile (whichever comes first) after new car warranty expires or from certified purchase date * Vehicle History * Powertrain Limited Warranty: 84 Month/100,000 Mile (whichever comes first) from original in-service date * Roadside Assistance Please text, call or email our Internet Product Specialist: Jason Sherrill jasonsherrill@mungenast.com 314-856-5535.